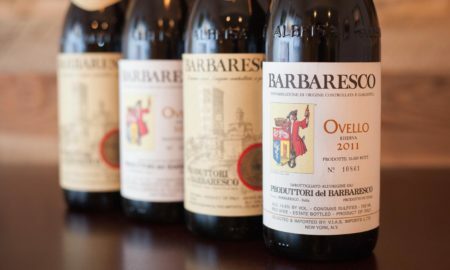 I will always view Barbaresco — the small wine region in Piedmont, Italy — fondly as a destination. 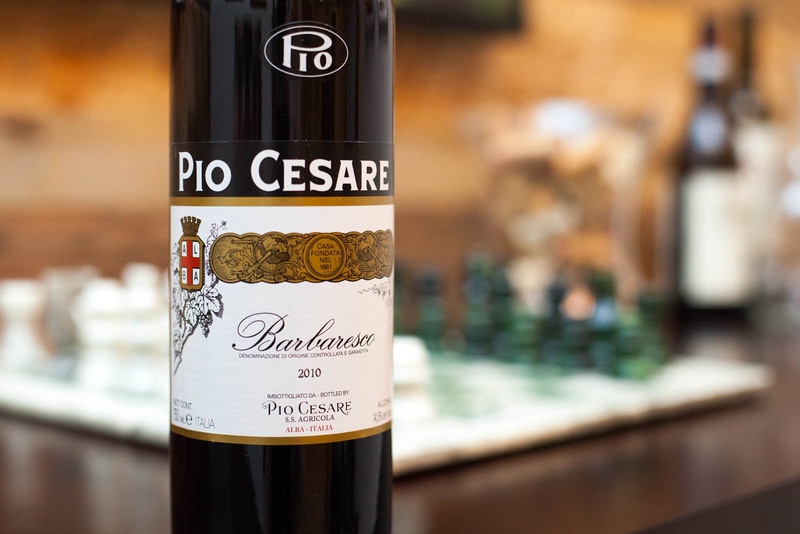 It’s version of Nebbiolo has always agreed with me, but beyond the wine, it is an easy place to love. 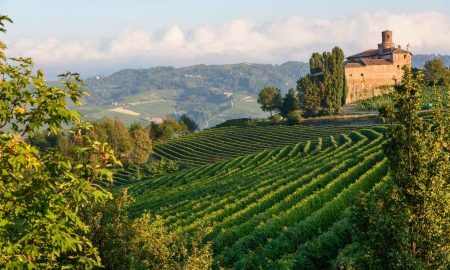 The hills may be lower and less spectacular than those in nearby Barolo, and it is decidedly less glamorous. To me, that is all the more reason to love it so. And now I know just where to stay. 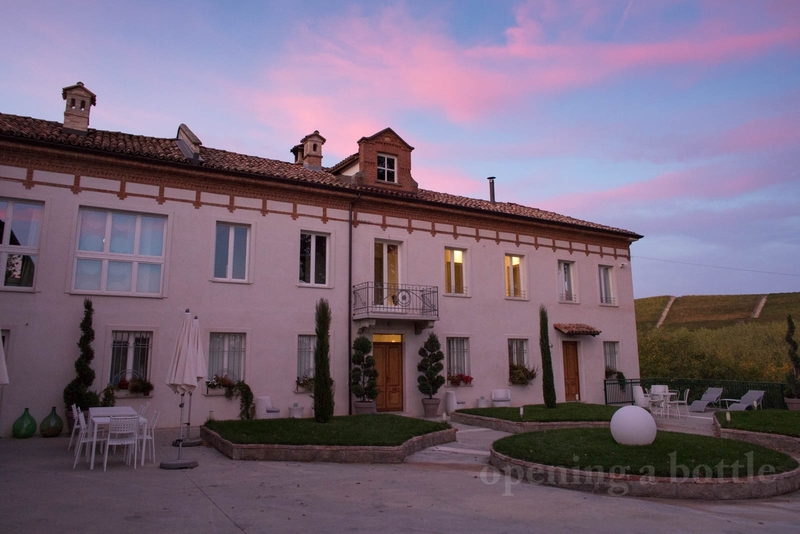 On our latest trip to the area, we spent a night at the Langhe Country House B&B just outside Neive. 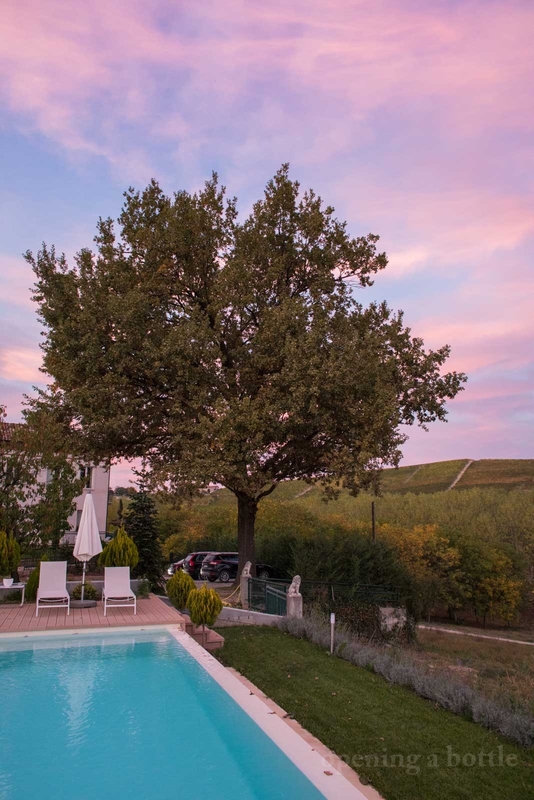 Within five minutes of arriving, our bags were in our rooms and we were sipping tea on the patio looking out at the rolling hills of Barbaresco. A row of trees concealed us from the rest of the world. 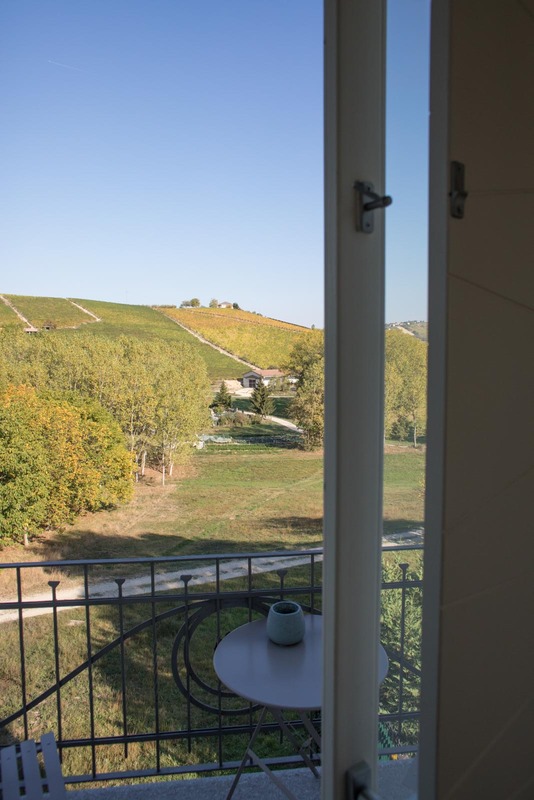 We had found our Langhe hideaway. The inn derives its charms directly from the owners, Nadia and Alessandro, who have mastered the art of simple elegance. 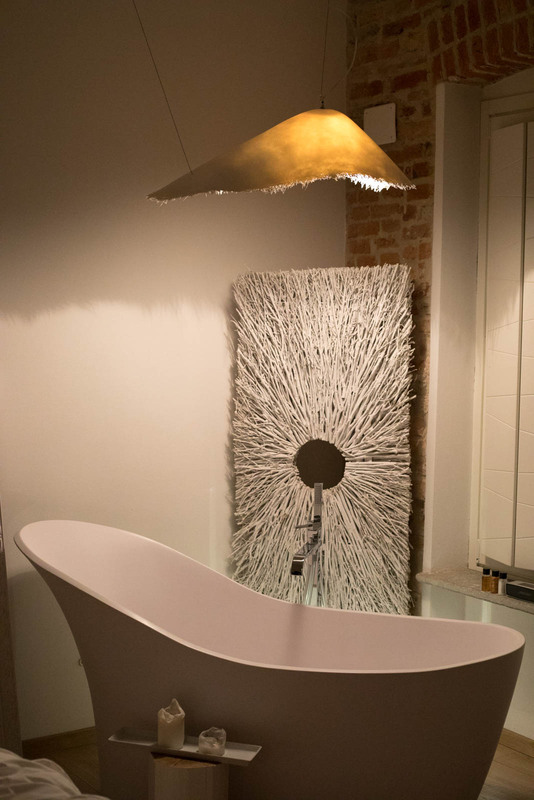 Our stay was punctuated by thoughtful details that reminded us of life’s little pleasures in an original way. Nadia is formerly an architect, and a trained baker and sommelier. Her designer’s sensibility has created an aesthetic that has one foot in preservation, and another foot in the present day. The 18th-century manor is in the traditional design of the region: an L-shape open to the southeast. These kinds of farm homes are seen all over the Langhe and Monferrato hills, and their design is still relevant today. The positioning of the home takes advantage of the sun. In winter, rooms are warmed from sunrise to noon; in summer, they are kept cool during the hot afternoons. Inside, Nadia has left the farmstead’s brick bones exposed, and offset them with a stark white palate. The wall decor behind our bed — 12 empty white frames on a white wall — would have felt gimmicky anywhere else. But in this cozy room, they simply felt like an invitation to color-in your own memories. To keep the aesthetic from feeling sterile, Nadia has used pops of Carolina blue in the rooms, and lowered the angle of the lights to add drama and texture to the scene. Everything feels thought-out and deliberate, yet easy and elegant. The breakfast is a wonderful blitz on the senses: chocolate pastries, perfect croissants, homemade jams, 15 different kinds of fruit, 8 different cheeses and a jar of the best gianduja spread I’ve had (it tasted like it was 50% hazelnuts … another culinary specialty of the area). In the corner, next to the breakfast spread, Nadia had arranged a dozen glass decanters filled with spirits such as Limoncello, Amaro di Langa and Bergamotto. 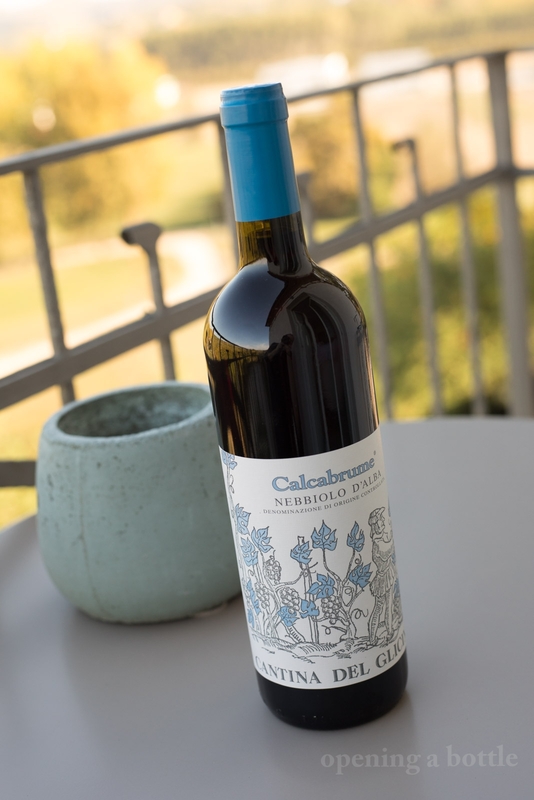 And there was no need to hit the enoteca in Neive for a sunset bottle of wine: she had curated nine of them for sale. 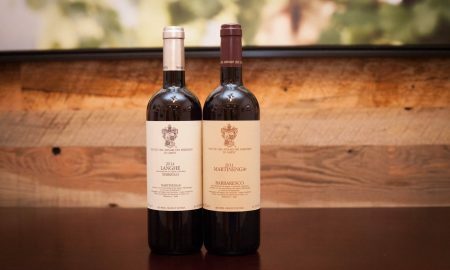 The selection included Barbaresco, Barbera d’Alba, Dolcetto d’Alba and Roero Arneis from the likes of Gigi Bianco, Massimo Rivetti and Cantina del Glicine — a clear nod to her sommelier’s expertise of what is excellent, drinking well now, and still reasonably priced. 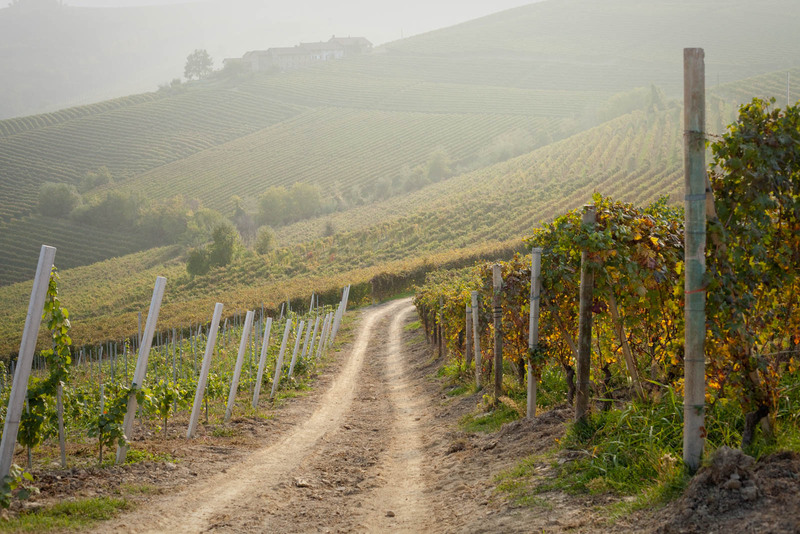 Surrounding the Langhe Country House is the Serracapelli vineyard, the northernmost cru in Barbaresco. 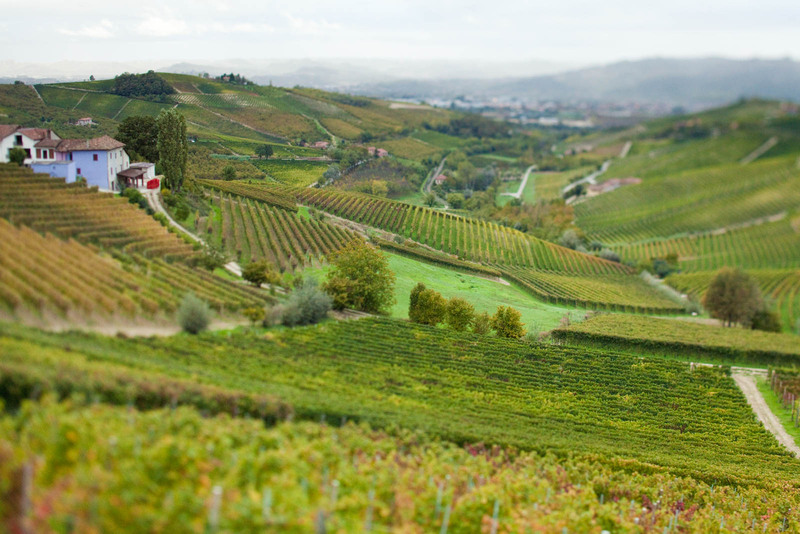 Before dinner in Alba, we took a walk around back and viewed the autumn vines — already harvested — up close. Before sunset, I took a drive to nearby Neive, a hilltop town that has been deemed one of Italy’s most beautiful villages. 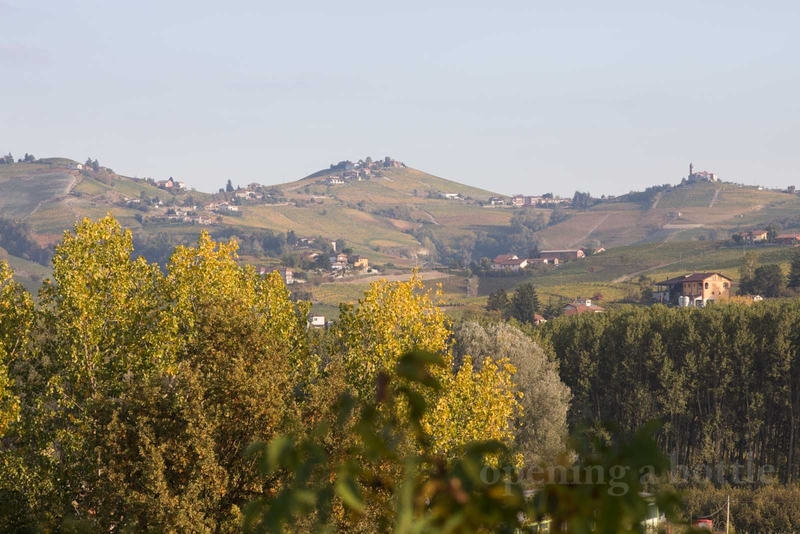 Neive has a handful of acclaimed restaurants because, well, this is the Langhe — they do everything well when it comes to cuisine. Nadia and Alessandro can arrange local tours at wineries and hazelnut farms (the latter is on my list for next time), but we unfortunately had to check out and drive to Verona. Poor planning on our part: one night was not nearly enough. 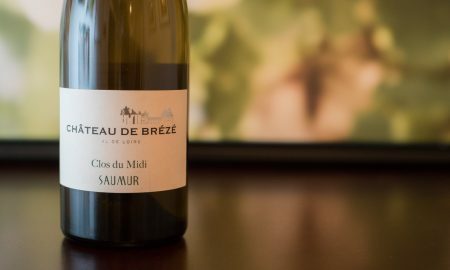 The best wine of 2015 ... bar none.